Shopping for Horror: Nightmare on Elm Street Vinyl Figures? One, two, Freddy looks really cute! 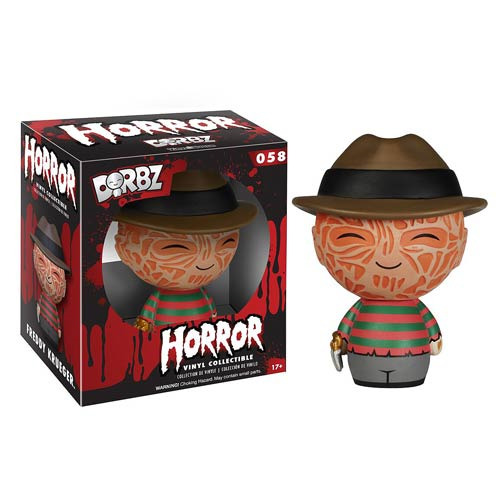 This Nightmare on Elm Street Freddy Krueger Dorbz Vinyl Figure features the dream-invading slasher in the cute Dorbz style. Figure measures approximately 3-inches tall and comes packaged in a double-sided window display box! Ages 17 and up.